With employment opportunities in the veterinary industry expected to grow strongly over the next five years, there is no better time for animal lovers to be considering a rewarding career caring for all creatures great and small. TAFE NSW research further reveals that in the animal attendants and trainers sector, the largest employment growth area between now and 2022 will be that of veterinary nurses, with almost 100 additional workers needed in NSW alone. Riding the crest of this wave is Wellington resident and self-proclaimed animal lover, Natacha Richards, who is now working as a veterinary nurse, after studying at TAFE NSW. “People would always say that I should work with animals and when I was at school there was no clear direction to any animal profession,” Richards said. “It wasn’t until later in my working life that I looked at becoming a zoo keeper. Richards studied the Certificate IV in Veterinary Nursing at TAFE NSW Orange by blended delivery, which included online learning and traveling to Orange for a hands-on face-to-face class once per month. “I felt really supported being able to study at my own pace and complete work placement at a local clinic as part of the course. I am now working as a veterinary nurse at the clinic where I undertook my work placement. 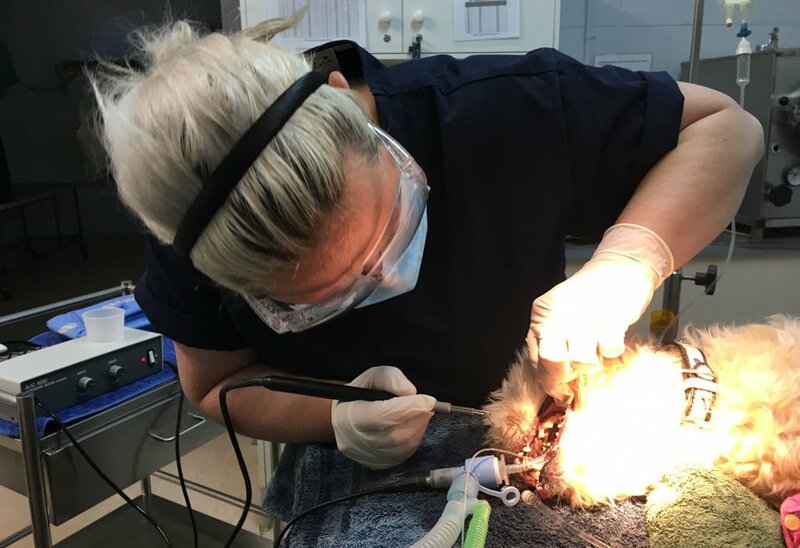 TAFE NSW Animal Studies teacher, Michelle Bond, said Richards was a passionate animal lover who was dedicated to the industry and her work placements. *An earlier version of this article mis-stated projected growth figures as applying to NSW only, where the source referred to national figures. The article has been amended to reflect the source, which is the Australian Government’s Job Outlook website.